App Index SocialXchange combines App Index smarts with Twitter. Find Android developers' Twitter accounts, filterable by app, category, installs, ratings, followers, appscore and more. The App Index SocialXchange gives you the power to search for developers on Twitter filterable by Google Play stats and Twitter activity. 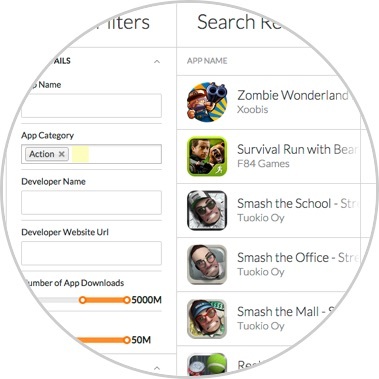 Filter on app name, developer name, Twitter follower count, social engagement, app ratings, reviews, downloads, keywords and appscore. Do more with Pro. Find developers on Twitter with just-launched apps. Connect with them about ad networks, analytic tools, events and services to help them succeed.